A plane powered entirely by solar energy. I don't know who first thought of powering an aircraft with solar energy alone; as far as I know, working models didn't appear until the 1970's. So, this is a fairly early mention of the idea. 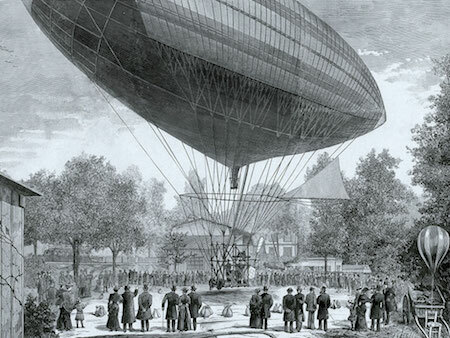 The brothers Albert and Gaston Tissandier developed the first electrically propelled dirigible, first flown in 1883. - Solar Impulse Solar-Powered PlaneFlies!